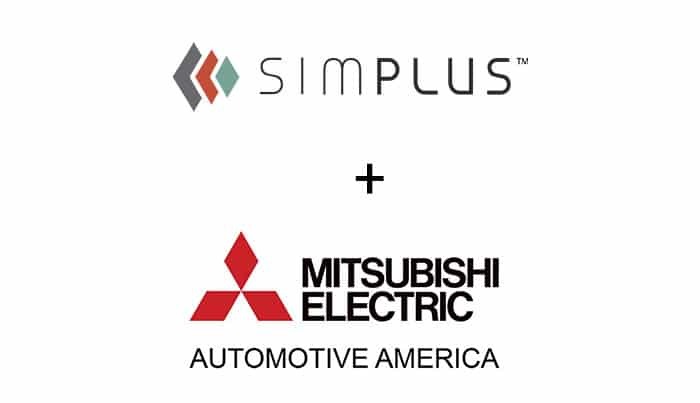 Mitsubishi Electric Automotive America (MEAA) is a top supplier of automotive parts and systems, focusing on safety, comfort, reliability, and quality. It’s the trusted provider of the world’s leading auto manufacturers. But MEAA needed help making sure old practices and tribal knowledge didn’t lead to erroneous records in their sales process. 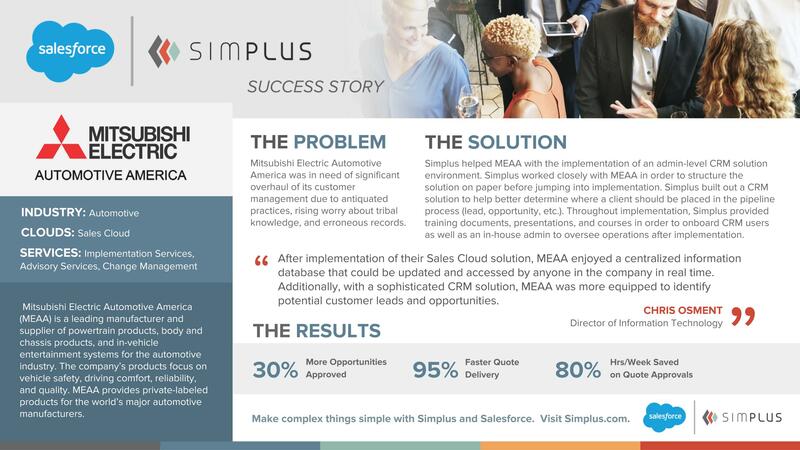 Simplus used Sales Cloud to ensure MEAA moves forward with confidence. Using not only our implementation services but also our Advisory Services and Change Management teams, we implemented an admin-level CRM environment for MEAA, as well as provided the necessary training courses and documents to successfully onboard end users. With the new cloud solution, MEAA is able to determine where a customer is in the pipeline process and how to move forward with them. This has created 30% more opportunities approved and 95% faster quote delivery to customers.